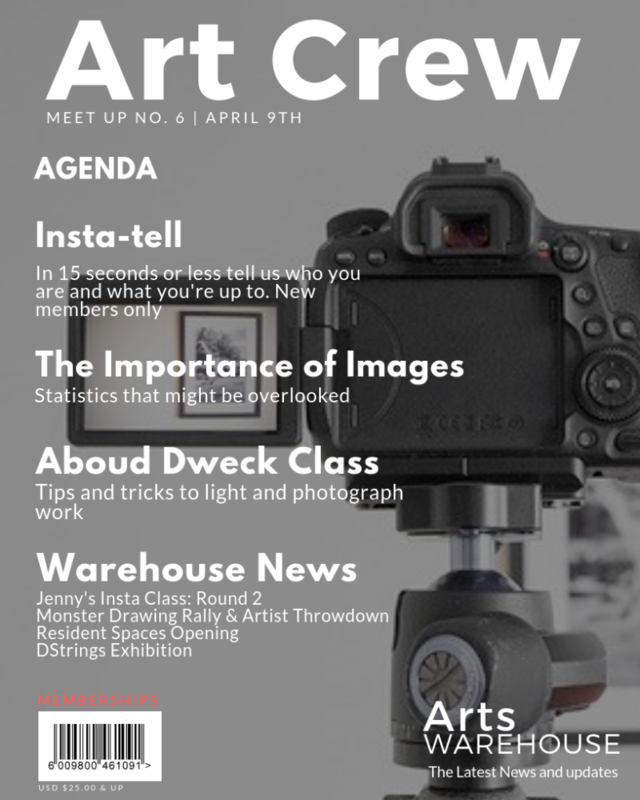 Arts Warehouse is hosting an artist-run group providing artists a space to meet, connect and collaborate. This group is open to anyone interested in attending. This is a peer-run support and critique group meeting once a month to further projects and ideas! 10. BLOG – share your experiences in your blog/Social Media posts. Click here for a list of Art Crew meeting dates!